It’s May, which means we’re about 100 days away from our favorite time of year, Haunt Season! 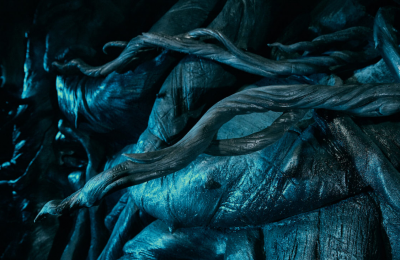 That also means that there’s tons of information that is going to be slowly leaked out about one of our favorite events, Halloween Horror Nights at Universal Orlando. 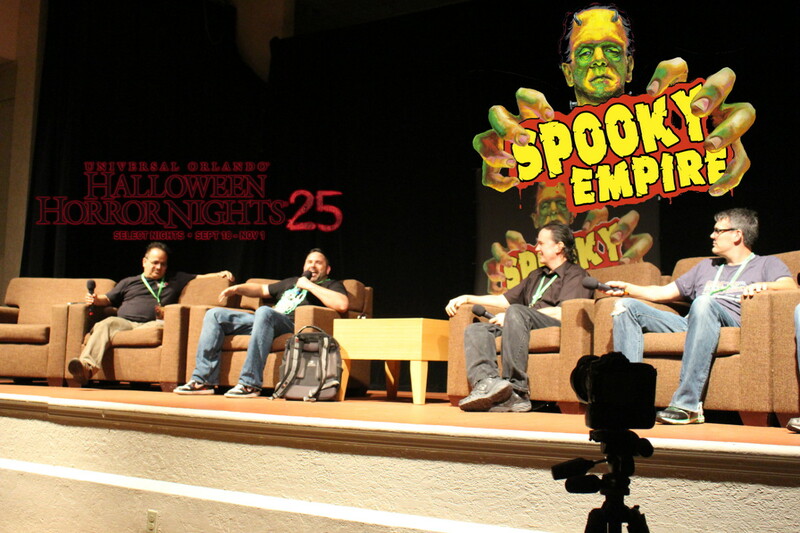 Over the weekend, Spooky Empire hosted a Q&A panel with some of the creative team behind Halloween Horror Nights. Oh the secrets that they could spill…but didn’t. Instead of what’s coming this year, the team talked about the past, and all the hard work that the team puts into the event. Of course, there were somethings that were mentioned, it wouldn’t be a HHN panel if there wasn’t. Rick Spencer, Manuel Cordero, Mike Aiello, Michael Burnette, Patrick Braillard, and Nick Collins all took the stage at Spooky Empire, mostly to talk to the fans, and answer questions. Of course, the questions that everyone wanted to know (what’s next) didn’t get answered directly, but a few tidbits were slipped in, and left open to debate and speculation. The biggest thing about the panel, these guys are all horror fans. 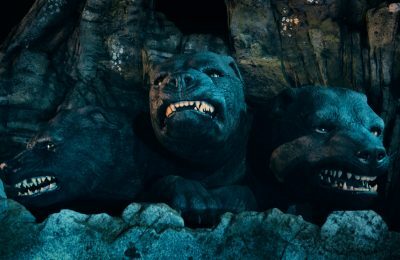 They have worked in the industry many years, some working in Hollywood on films, others working in the theme park industry. Others just happened to be in the right place, at just the right time. How did they get there? Passion and practice. The group all echoed and stressed that even if you’re not able to do what you’re passionate about, never stop doing what you’re passionate about. Example, if you work in a ditch and run a theme park site on the side(cough cough), and you really want to do it full time, never stop writing. If you study make up and prosthetic work, even if you’re flipping burgers at a fast food joint, when you come home, never stop making models and practicing on anyone and everyone. Everyone who gets to do what they want to do, does it through hours, days, months and years of practicing and doing…not just dreaming. The past has been an exciting time for Halloween Horror Nights, what about the future? Of course, the crew is really tight lipped, but they did mention a few things in the panel that you can draw your own conclusions from. That’s a short wrap up of what we took away from the panel, but take a watch yourself and see what you think. There was one major announcement, which we completely missed. Three separate popcorn boxes were shipped out to fans who had won contests and hunts from things like HHN Compound and The Collective. Both of which were social media games in the past few years that had given guests a little something extra to dig for during the event. That is a sure sign that things like Compound are coming back. Inside the popcorn boxes were all manners of codes, and writings. 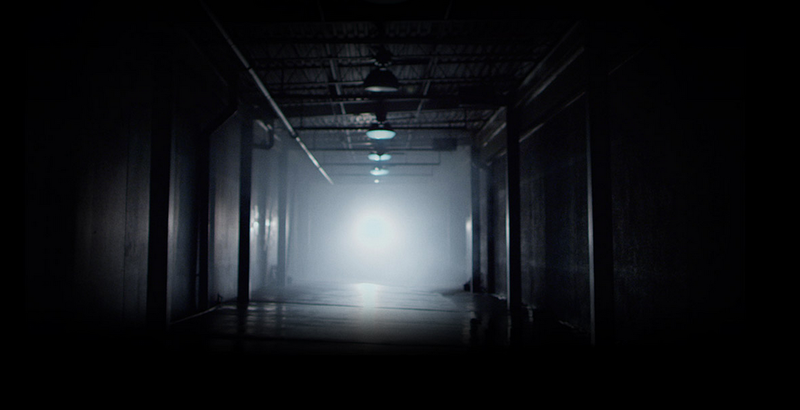 It ultimately lead fans to a page hidden on the HHN website. Several questions, but it honestly looks like a high school, or the space between soundstages and the parks at Universal Orlando. What will be coming from the light? 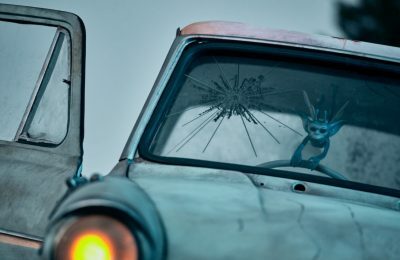 We will find out something big on May 19th which is Tuesday! The past is definitely remembering, however as the event moves on, it should shape up to be an amazing run. Stay tuned for more from both Spooky Empire, and Halloween Horror Nights Orlando, and be sure to get social with us on Facebook, and follow along with us on Twitter @BehindThrills for the latest updates! For more information about Halloween Horror Nights at Universal Orlando, including tickets, visit the official website by clicking here!